ISS is a distinguished & leading inspection services company in the Kingdom and targeted in providing wide range of Inspection services as well as laboratory services with high quality at reasonable prices and in a timely manner. We are committed to improve the quality of our services by continual up-gradation. 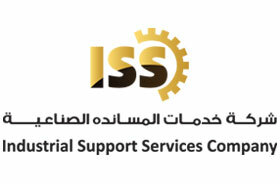 ISS has been providing testing services since 1983. Our client list includes Saudi Aramco, Saudi Chevron, SECO, SABIC, SASREF, and Luberef to name a few..
We are committed to serve and support the industrial sectors by providing the widest range possible of quality industrial inspection and NDT services. We rely on a group of self-motivated and professional staff to perform these services; staff whom we believe to be our most valuable asset and to whose continual improvement we are wholly committed. We provide all types of NDT and Inspection services. The following is a listing of our NDT capabilities. Radiography of weld joint, Profile shots for corrosion monitoring, ASME Code pressure vessels, Piping as per API 1104, ASME B31.3/31.1, Pipelines, Radiography of Tanks etc. Ultrasonic Flaw Evaluation and Thickness Data management using Utility and Custom built application software. Surface flaw detection using fluorescent and visible methods. Surface and subsurface flaw detection using magnetic particles. sing Vacuum Box Leak Detector for tank floor welds. Welding Inspection, paint/coating, civil, mechanical, electrical etc. Level III services for ASME ‘U’ & ‘PP’ Stamp manufacturers. Vendor Inspection Services including preshipment and receiving inspection, client representation document review etc. Metallurgical services – Using The Welding Institute, U.K.
Training & certification on NDT, Welding Inspection & Radiographic Film Interpretation. Software assistance for Mechanical Plant Integrity – Through TWI U.K. The following is a listing of our Advanced NDT capabilities. Film digitization and storage in Floppies/CD-R etc. IRIS (Internal Rotary Inspection System) of ferrous/non ferrous tubes. RFET (Remote Field Electromagnetic Testing) of Ferro magnetic tubes, Heat Exchanger Tubes, Boiler tubes, Boiler swage tube region, Fin Fan etc. Wavemaker™ uses guided waves to inspect pipes for corrosion from one point. The system has the ability to detect defects in a part of a pipe that is buried or inaccessible. A probe ring is placed around the pipe and transmits guided waves through the pipe in either direction of the probe ring. The pulse echo type operation provides information on feature position and approximate size. The interpretation of results is done with sophisticated analysis aids. Inside Pipeline Inspection (using RTD’s Pipeline Inspection Tool) Umbilically tethered scraper. Motorised or wheel driven Pipeline Inspection Tool (PIT) measure and record the internal corrosion and the remaining wall thickness with a high degree of accuracy. The PIT is cable operated and capable of inspecting liquid filled pipelines up to 17 kilometers long. The present range covers large diameters between 16 inch and 48″. X ray crawler for pipelines. Automated UT of pipes and other welds. Corrosion control and Cathodic protection. ank Floor Bottoms Scanning using Low Frequency Electromagnetic Testing (LFET) method – Using Falcon 2000 instrument of TesTex Inc. Iss Independent Material Testing Laboratories and part Of the Al-bassam Group of Companies which was founded in 1993 in the Kingdom of Saudi Arabia.ISS Laboratories are accredited by Saudi Arabian Standards Organization (SASO), Presidency of Meteorology & Environment (PME) as well as Ministry of Commerce and strictly follows documented quality system procedures as per ISO/IEC 17025 to test petroleum products, environmental samples, water, Agricultural products and metallurgy. Drinking Water, Engine Coolant & Chiller Water. For any type of metal (ferrous and non-ferrous), ISS introduces its service for chemical composition analysis, with widest range of elements, including Carbon and Nitrogen percentage, using widest range of wavelength machine from 140-670 nm. 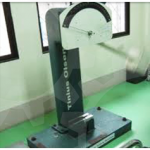 Face, side, root, rebar and all types of bending test are performed in our robust, accurate equipments. 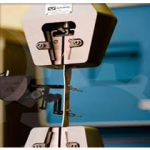 Equipments used are calibrated and traceable to national institute of standards and technology (NIST). To ensure delighting of our clients we introduce full service starting from sample collection, machining of samples, testing, reporting, up to after servicing and client feedback. Engr. Abdel Fattah Mahmoud – Deputy EM & Radiation Protection. Mr. Liju Thomas – Hi-Tech Dep. Manager.